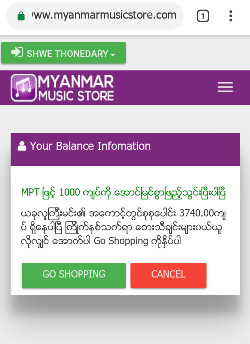 Firsty choose redeem from your user name .After that you can Redeem with Myanmar Music Store Gift Card option (or) MPU (or) Red dot (or) Codapay . 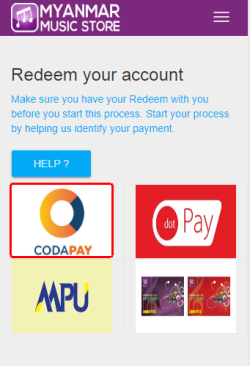 Choose codapay logo to redeem . 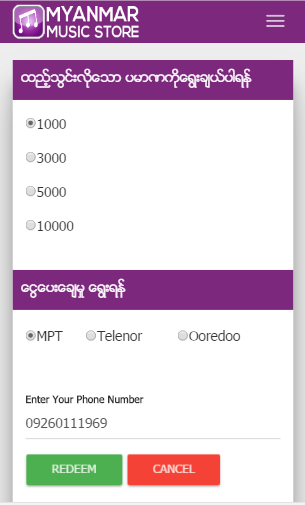 If you redeem with Coda,choose amount and telecom operator that you want to redeem and then credit amount by Coda payment gateway . 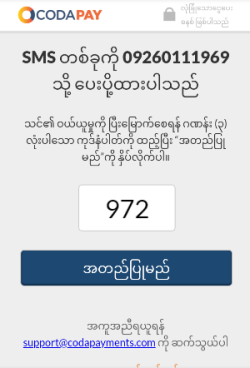 Input PhoneNumber and then click next step. 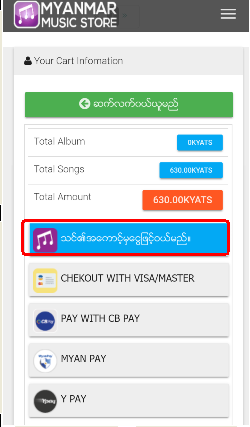 Input (OPT) code that sent from sms and then click approve button to redeem your myanmar music store accout. 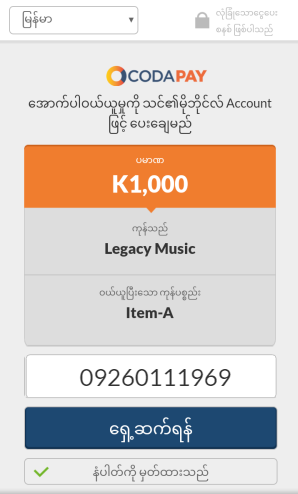 After successfully redeem ,you go to merchant for purchase songs or albums . 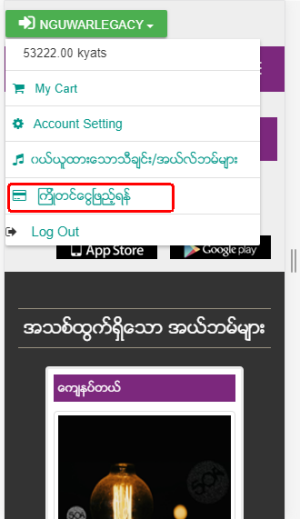 If you received the success message , you can checkout with Pay from your account payment option..